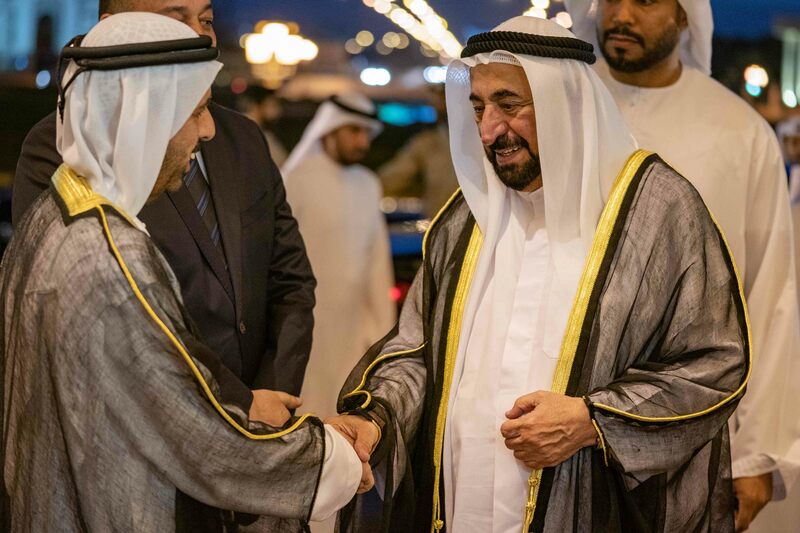 His Highness Dr Sheikh Sultan Bin Mohammed Al Qasimi, Supreme Council Member and Ruler of Sharjah, on Monday attended the 16th edition of Sharjah Arab Poetry Festival, which is organised by Sharjah Department of Culture and Information. The festival, which will run till Jan.12, saw the participation of 30 male and female poets from 17 Arab countries. The ceremony began with Sheikh Sultan’s arrival at Sharjah Cultural Palace, where he was received among others by Sheikh Salem Bin Abdulrahman Al Qasimi, Chairman of Sharjah Ruler’s Office, Rashid Ahmed Bin Al Sheikh, Chief of Sharjah Emiri Court, Abdullah Mohammed Al Owais, Chairman of the Sharjah Department of Culture and Information, Brigadier Saif Mohammed Al Zari Al Shamsi, Commander-in-Chief of Sharjah police, Dr. Tariq Sultan Bin Khadem, Chairman of Human Resources Department, Saeed Musabih Al Kaabi, Chairman of the Sharjah Education Council, Mohammed Obaid Al Zaabi, Head of Protocol and Hospitality Department, Habib Al Sayegh, Secretary-General of Arab Writers Union. The first event of the festival was a poem produced by Sharjah TV and dedicated to the poetry houses in the Arab world. The poem, written by Raad Aman, talked about Sharjah’s efforts for supporting all fields of Arabic literature and the effect caused by poetry houses in the various Arab cities. 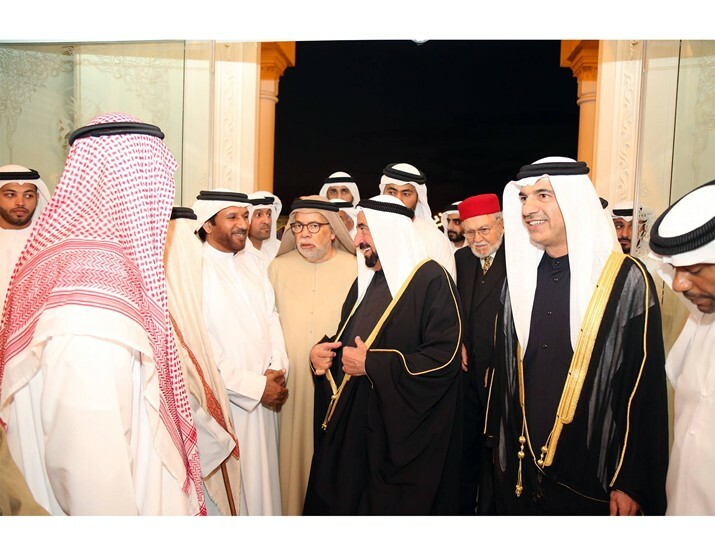 A common poem by a number of poets was dedicated to Sharjah and expressed the poets’ deep thanks to Sheikh Sultan for his support of Arab poetry and poets through the Arab poetry houses.